1. 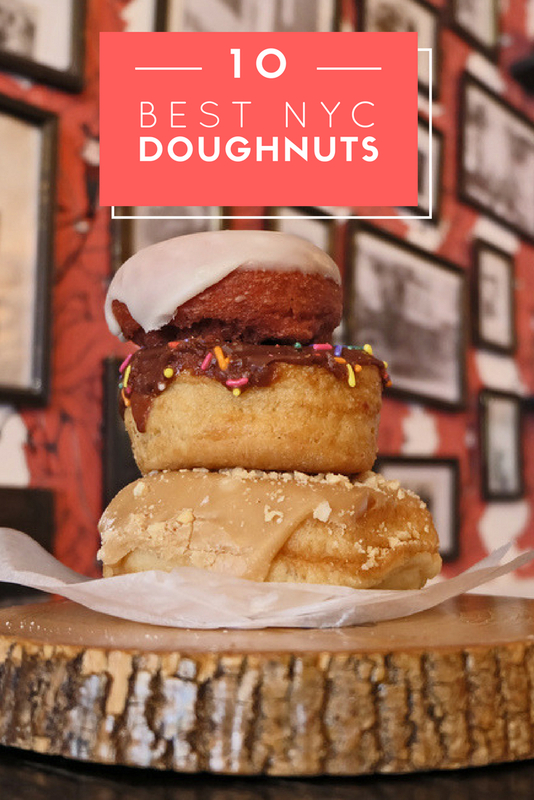 Dough: There’s a reason this has been voted the best shop in the country by Foursquare, The Village Voice and more. Try the unique and flavorful Hibiscus and Passion Fruit sprinkled with cocoa nibs. 3. 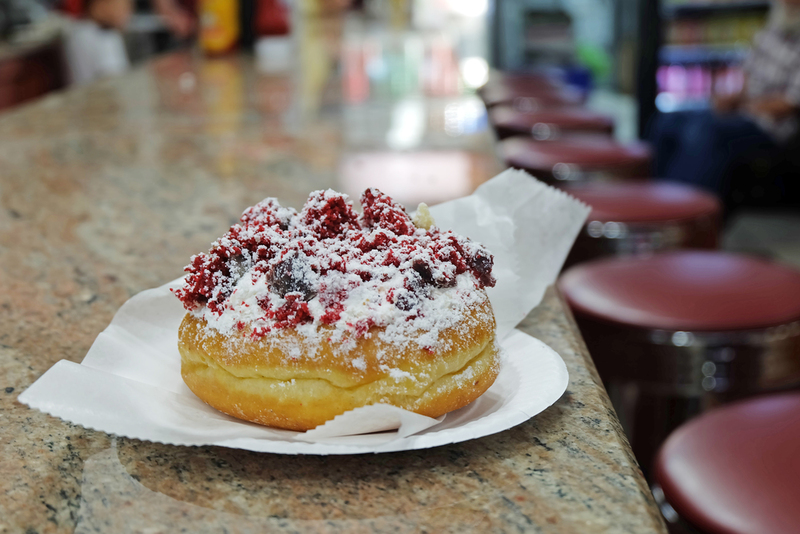 Orwasher’s: Best jelly doughnuts in the city! 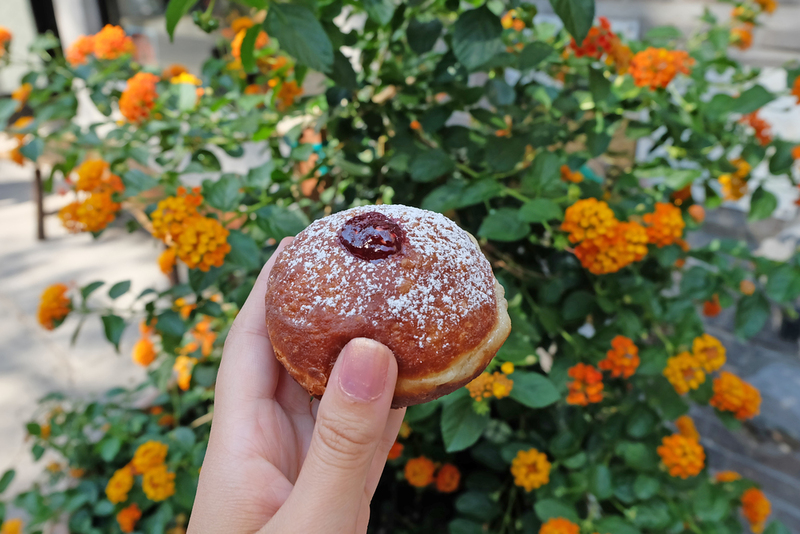 No mushy doughnuts here, they hand fill the jelly doughnuts in front of you with a syringe of jelly. I recommend the black raspberry! 4. 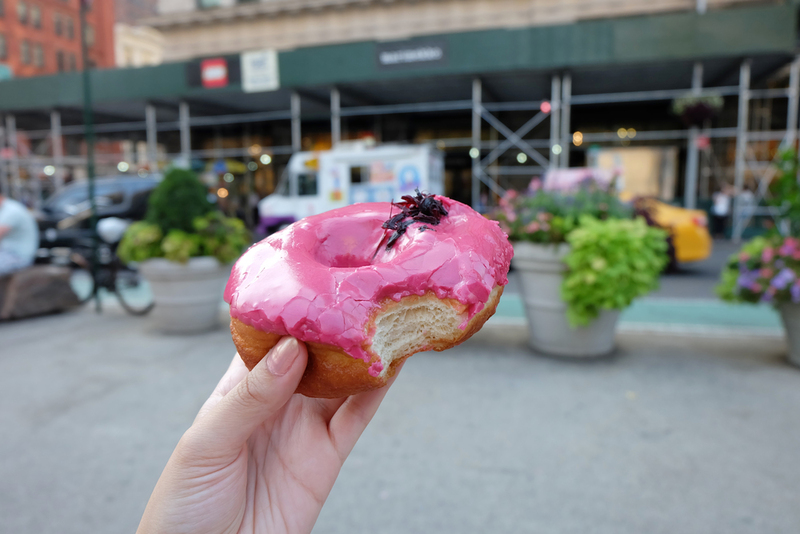 Moe’s: Greenpoint, Brooklyn is known for Peter Pan Donuts but the lesser known and less crowded spot is Moe’s with flavors like salted caramel and red velvet! 5. Peter Pan: But Peter Pan Donuts and Pastry Shop is a classic with mint green walls, started in the 50s! 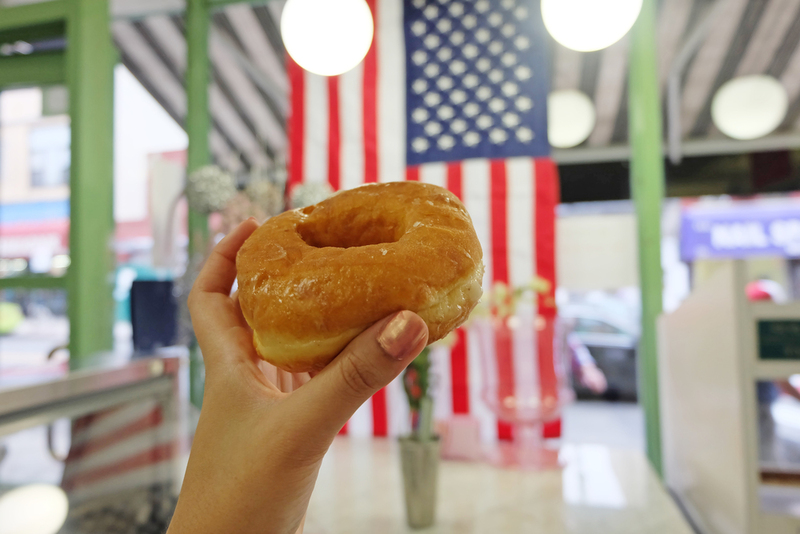 Try the classic glazed. 6. 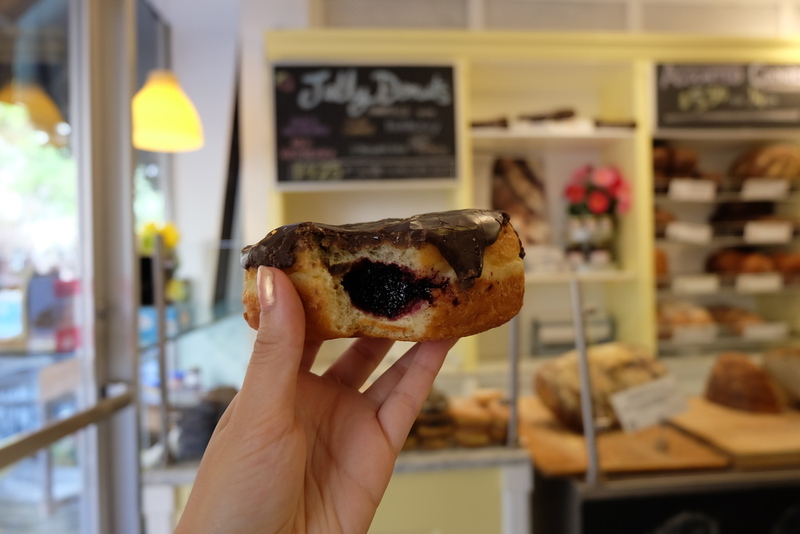 Sullivan Street Bakery: This little bakery is heavenly with the best Italian doughnuts: the bomboloni. They are fluffy, airy, sweet jelly filled blockbusters. 7. 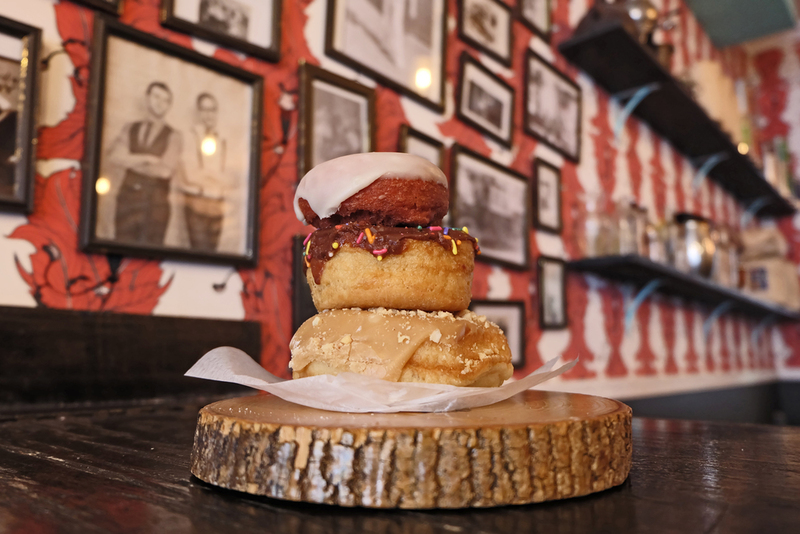 The Doughnut Pub: Order the cronut, thank me later. 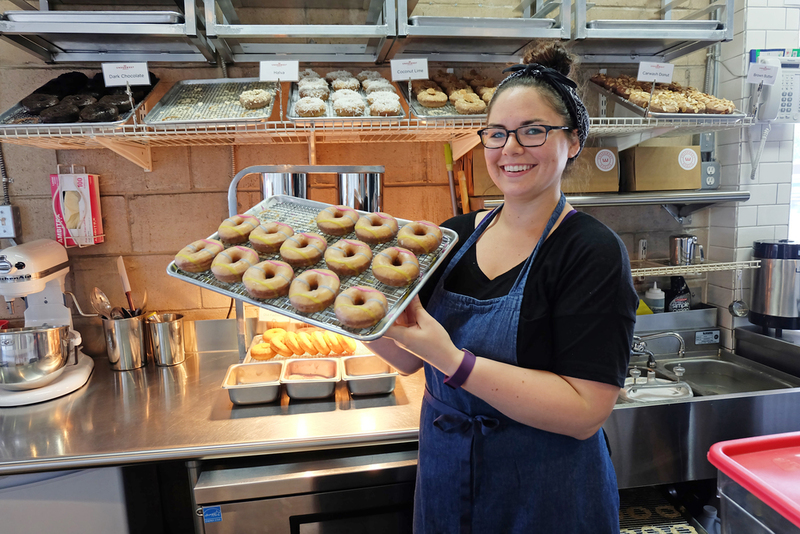 The neon sign and 24-7 hours make this feel like an old-school doughnut dive that’s one of the most affordable in town. 8. 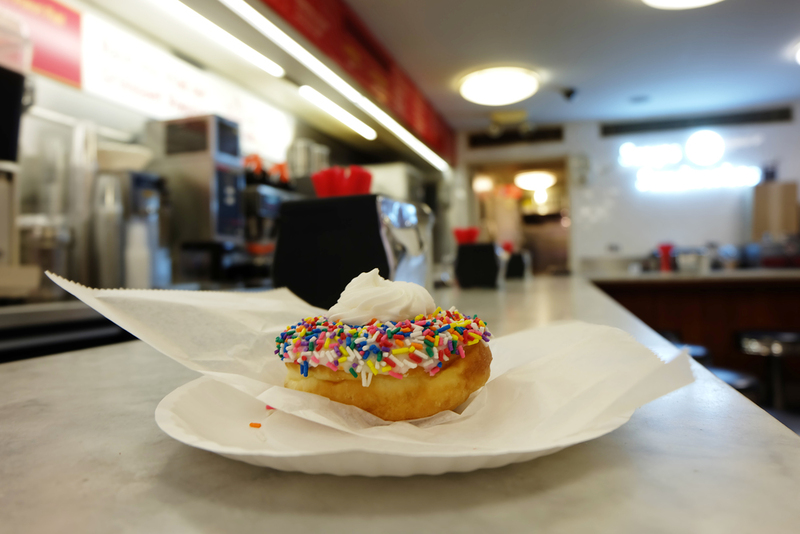 Underwest Donuts: This tiny hole in the wall is located in a carwash. Order the “carwash” donut. 9. 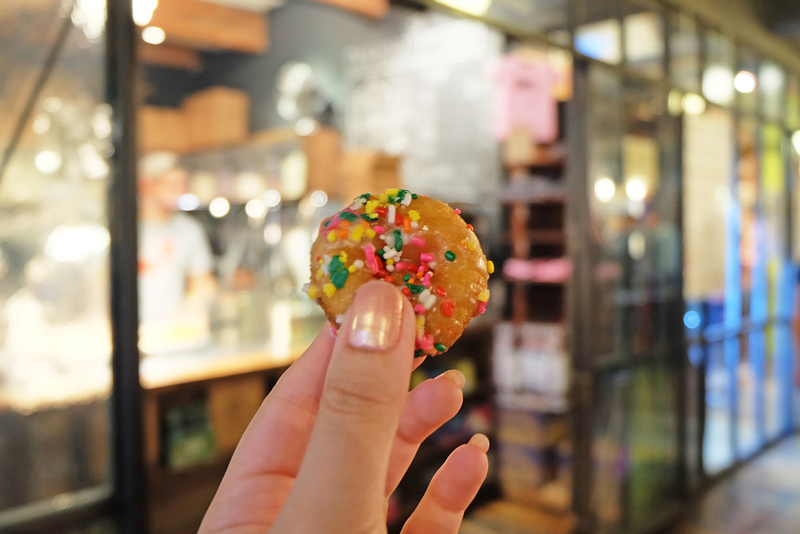 Doughnuttery: Doughnuttery serves fun poppable mini doughnuts in a brown paper bag, in Chelsea Market. 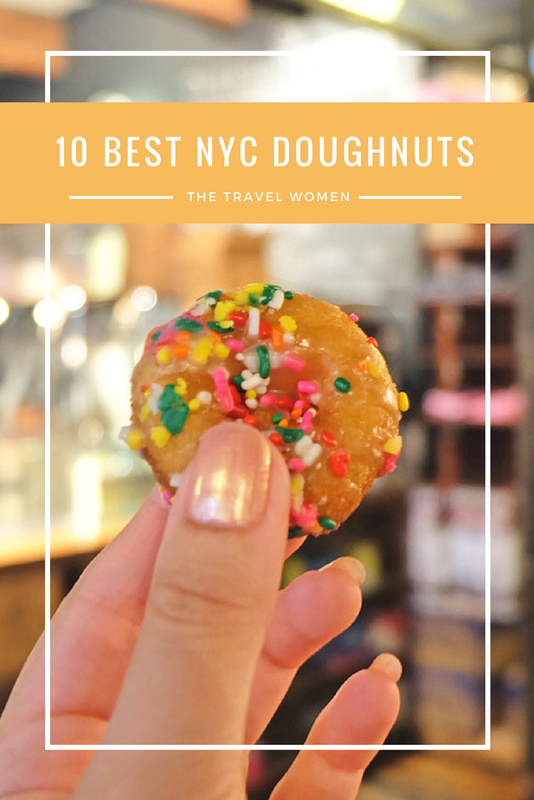 They float along in oil in front of you before being tossed by a machine into their bin, where they are topped with sprinkles or flavorings. 10. 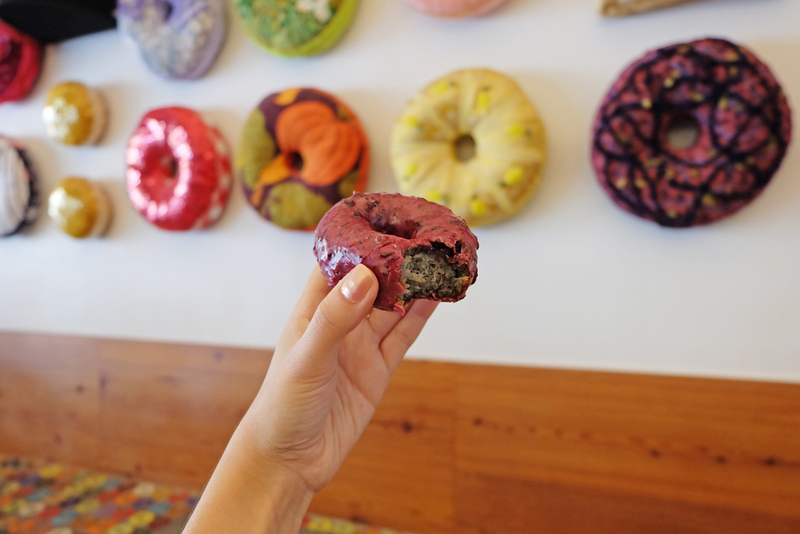 Dun-Well: This all-vegan donut shop rotates 200 types of donuts in a fun and quirky shop in Brooklyn. Wow that’s a lot of great information on donuts and love the photos. I am pretty hungry for a donut or two right now. Great work researching donut shops. Thanks! !